An Albanian monument to the Communism that nearly crushed the country is now a crumbling wreck. From 1944 to 1992, Albania was governed under a harsh Communist ideal that modeled itself after Stalinism. 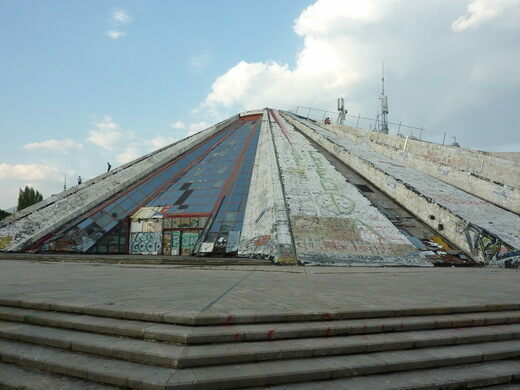 Landmarks such as the pyramid of Tirana still recall darker days. What happens when you cross a mayor and a painter? Once the fallout shelter of a dictator, this sprawling bunker is now a combined history museum and contemporary art gallery. The out-of-place pyramid was built as a museum in honor of Enver Hoxha, a former Albanian leader who furthered the ideals of Stalinism for decades after the Russian dictator died. Designed by Hoxha’s daughter and son-in-law to keep the leader’s legacy alive, earning it the informal name, “The Enver Hoxha Mausoleum.” The museum retained its original purpose until 1991, and as national attitudes began to change, the space was converted to a convention center in the first shift in purpose that would eventually lead to its downfall. As the central purpose of the marble-tile-covered structure shifted from museum to convention center to military staging area to television station, the revolving ownership led to massive neglect. Combined with the unpopular Communist legacy associated with its construction, the building began being looted for materials and covered in graffiti, leading to its current state of dilapidation. 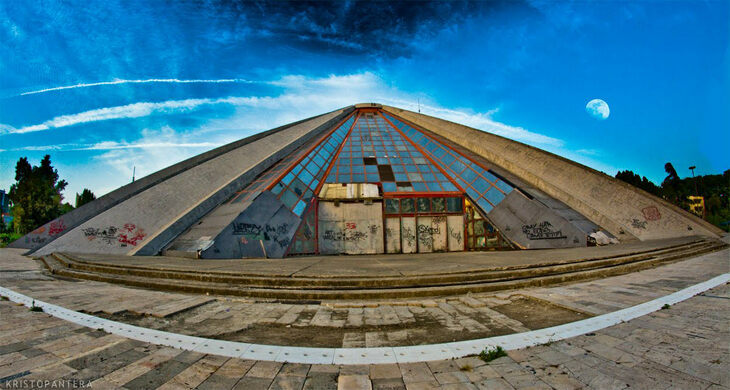 While the Pyramid of Tirana is not completely disused (there is still an independent Albanian broadcast company operating there), the government is trying to vote the site into demolition. However the vote is being contested by locals who would like to see the piece of their heritage (however dark) preserved. The elliptical citadel resisted the advance of the mighty Ottomans several times, thanks to the military prowess of the "Dragon of Albania." A pyramid commemorates the birthplace of James Buchanan, one of the worst presidents in United States history. A cylinder monument with a spectacular vista commemorates a friendship that some say never existed.